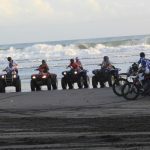 Bali Island ATV is the leading ATV tour operator. 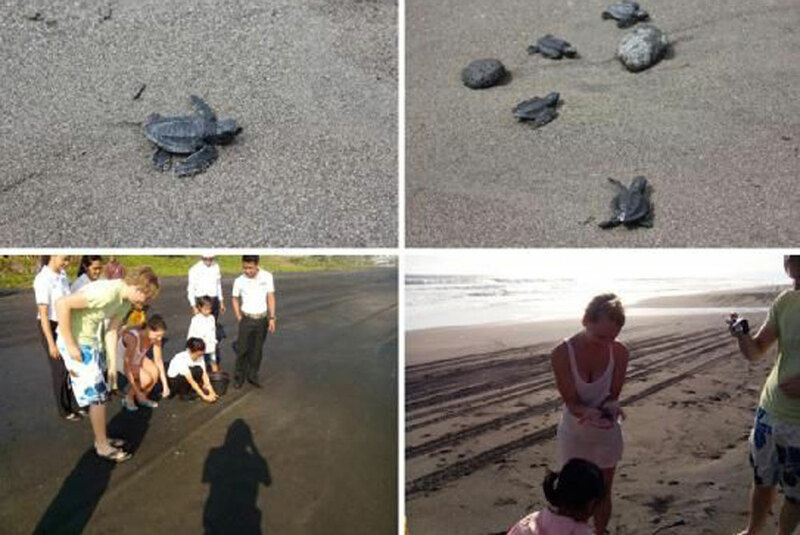 We have fluent English tour guides to ensure you have the best possible experience. 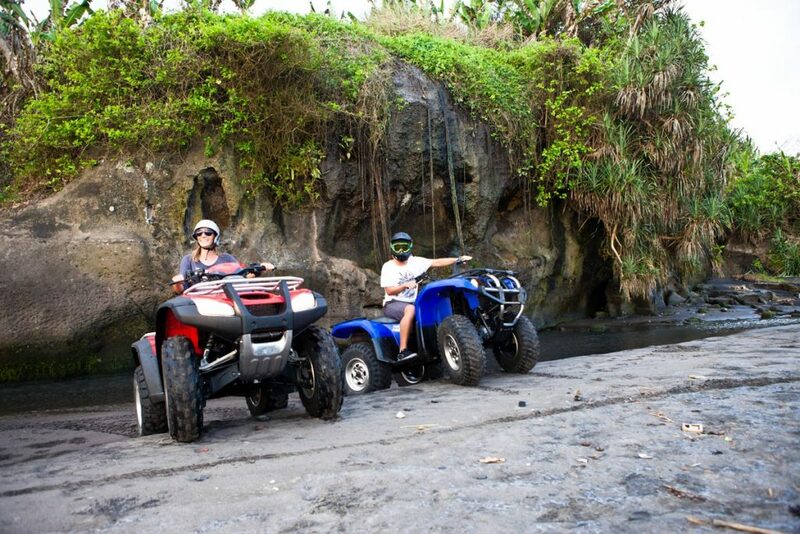 The ATV ride Bali takes you through parts of Bali you won’t see in the busy areas of Bali. 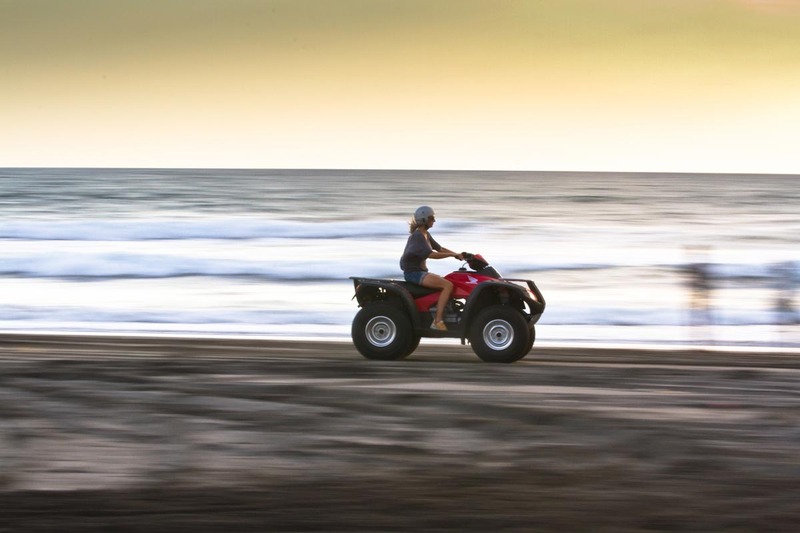 With easy to operate ATV’s that are fully automatic even the least experienced rider will have an amazing time. And our mechanics are internationally trained so our equipment is always running perfectly. 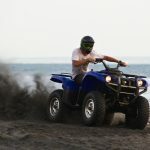 Bali Island ATV are the experts when it comes to providing ATV ride Bali Tours. 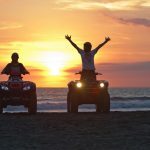 Tours can be either 1 or 2 hours and we accept single riders, families and groups are always welcome. We also provide a sausage sizzle for the long tours. 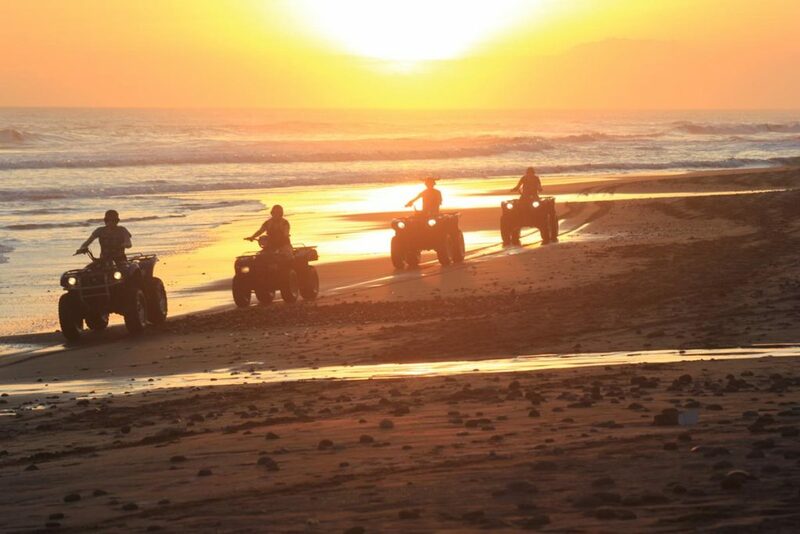 Don’t forget to ask about our sunset tour along Bali’s most secluded beaches. 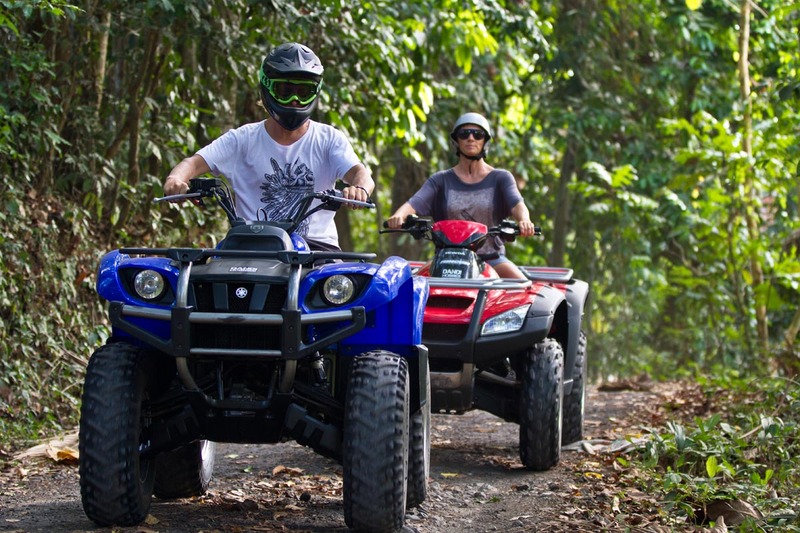 Are you looking for something different, exciting and adventurous to do on holiday? 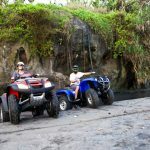 Would you like to experience a different side of Bali, away from the tourist crowds and share that experience with your whole family? 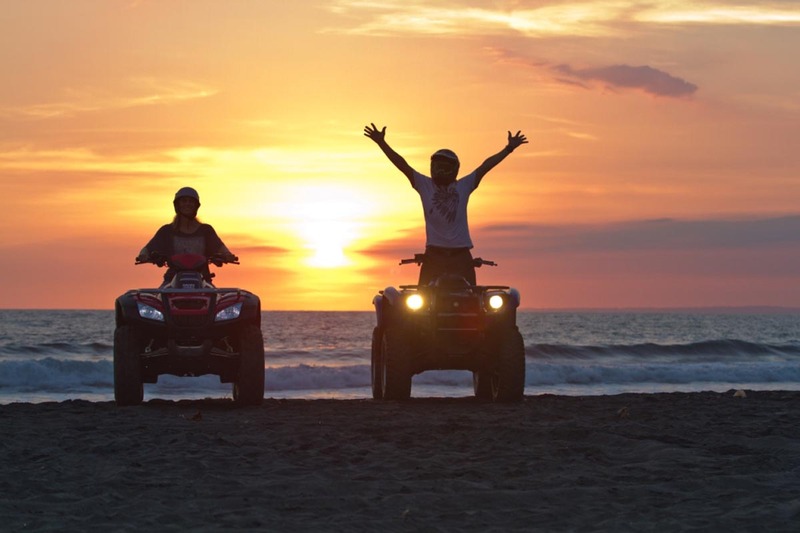 A quad biking tour with Bali Island ATV is the perfect answer. 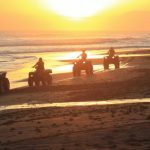 Bali Island ATV are Bali’s longest established and leading provider of quad biking tours in the south of Bali. 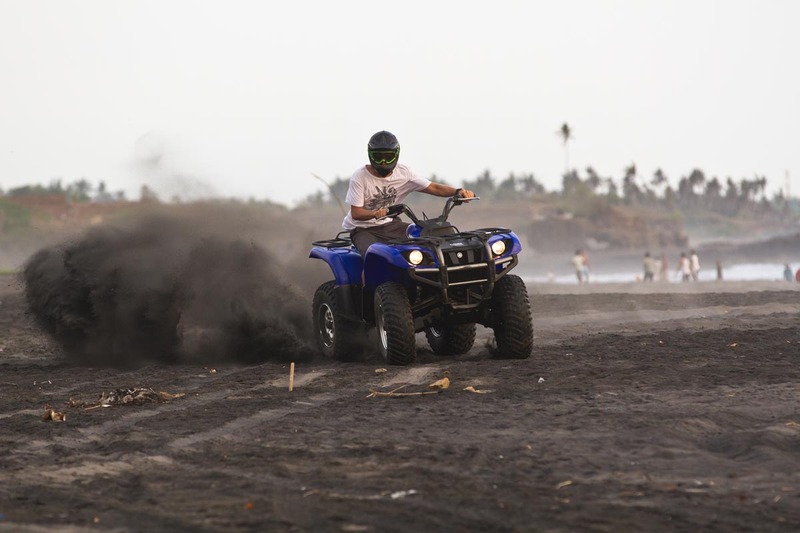 From their base on the shores of the stunning black sands of Yeh Gangga Beach you’ll enjoy an experience like no other that takes you across the beach, through fresh water streams, immerses you in the green swaying oceans of rice paddies and gets you up close to local Balinese culture. 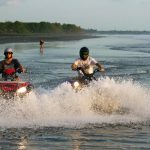 You want adventure, but of course quality and safety is important. 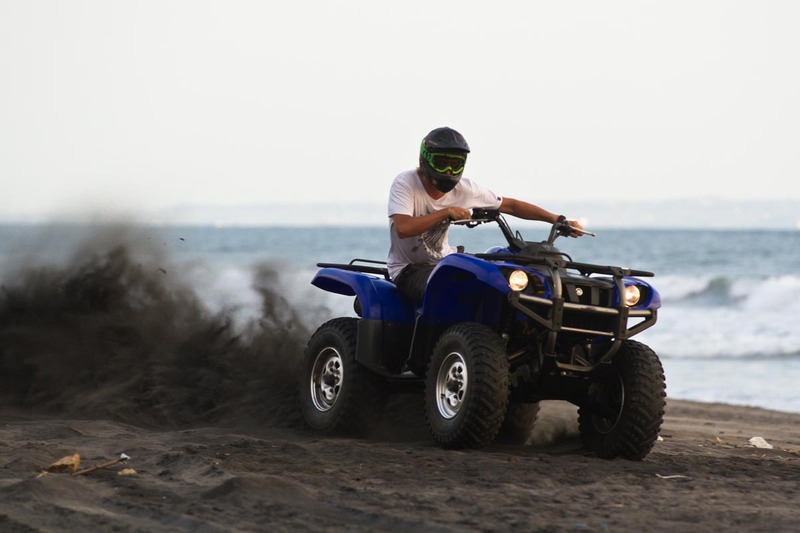 Bali Island ATV are proud to offer you the newest and biggest quad bikes on the island – ranging from 500CC to 700CC the bikes are fully automatic, easy to ride and powerful. 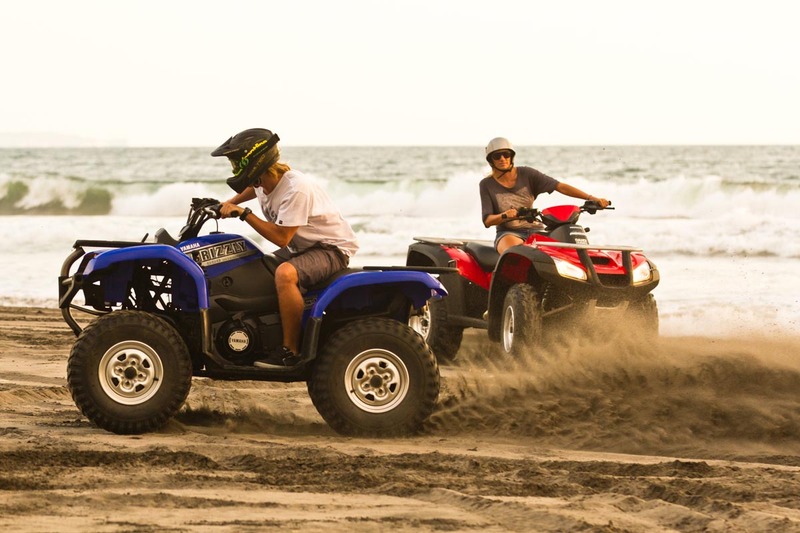 What’s more the bikes are designed to be ridden either solo or tandem. So if you’re planning on taking your kids, or even your grandparents along for the ride, there’s plenty of room for everyone to ride in comfort. 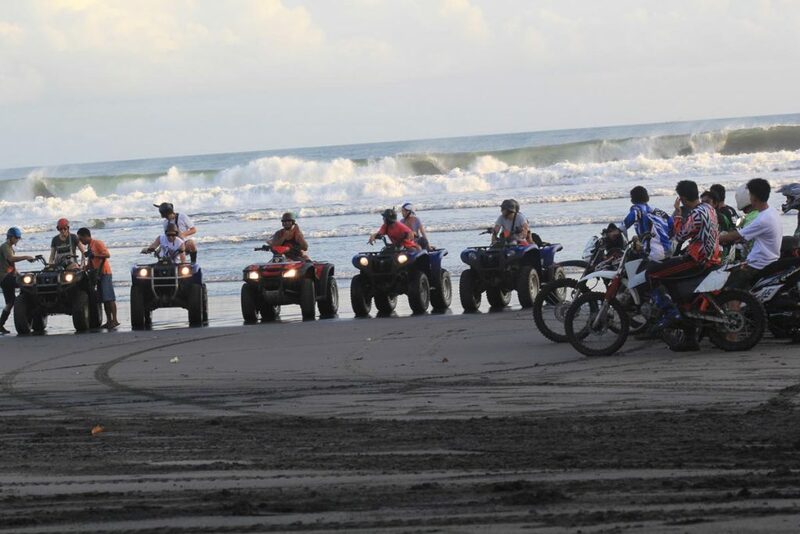 You can also be sure that the bikes will be in perfect working order. 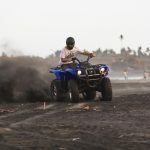 Bali Island ATV’s team of mechanics are specially trained to international standards and a team of international mechanics regularly visit to ensure that the bikes are always in perfect working order. 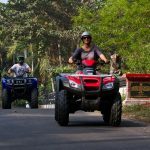 A full briefing is given before you set out and experienced and knowledgeable English speaking guides will accompany you on your adventure. 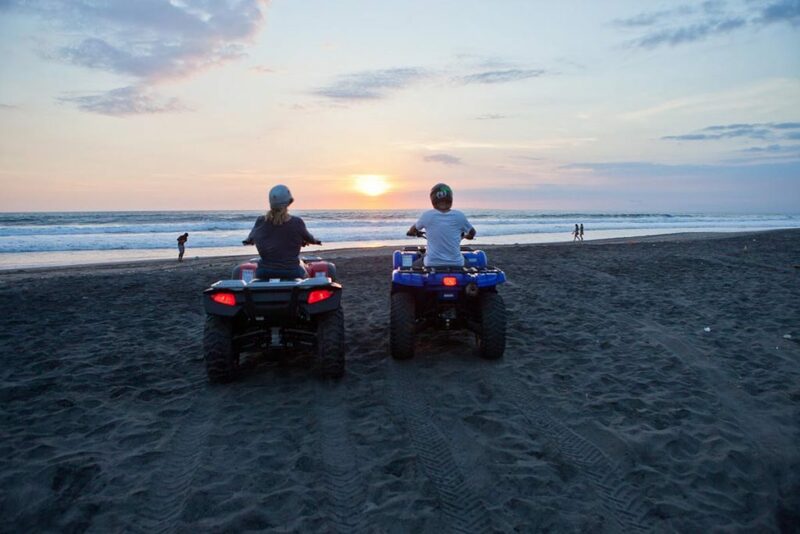 After being collected from your accommodation, the trip to Yeh Gangga becomes part of your family adventure as you leave behind the urban areas and head towards the rural beauty of Bali. 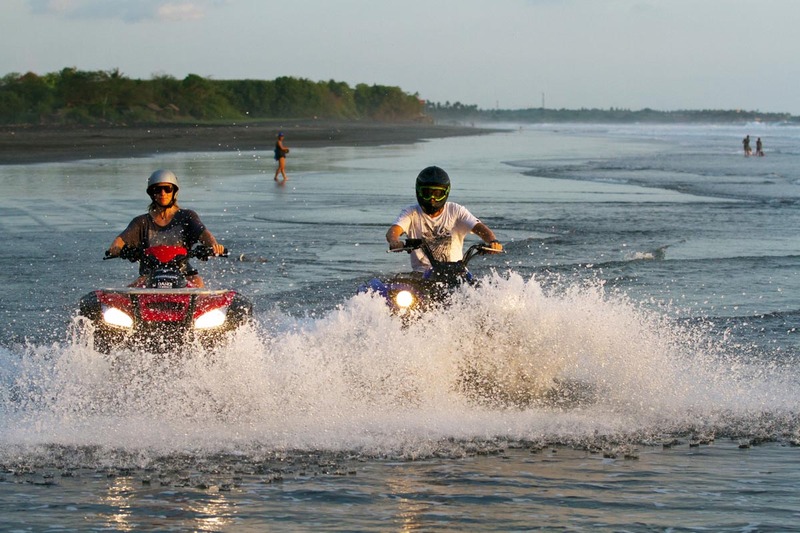 Leaving Bali Island ATV’s base, you’ll head first to the black sand beach – virtually deserted, hear the waves crashing in the background, and maybe glance a lone fisherman by the water’s edge, as the scenery races past and you splash through fresh water streams making their way to the ocean. 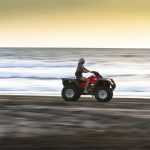 Or, you may wish to ease off the throttle, slow down and really take in the exceptional beauty and tranquillity of this area. From the beach, you’ll head in to Yeh Gangga village. 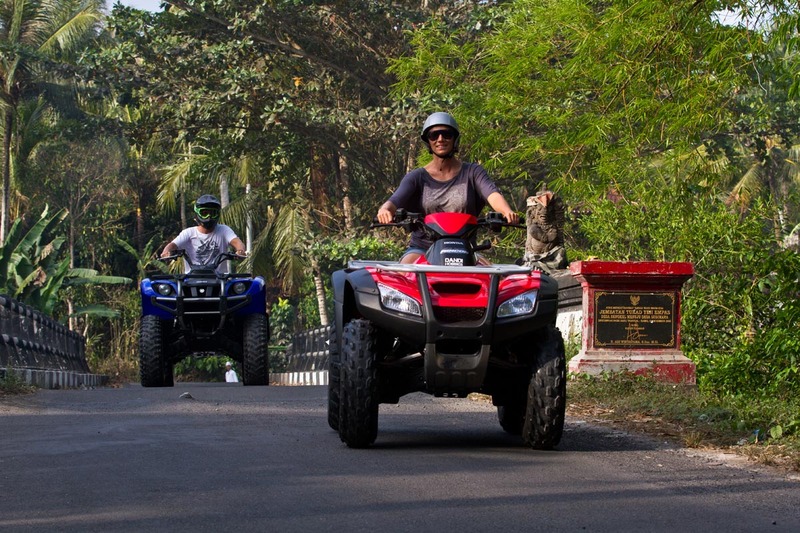 Riding along the road in convey, take the time to wave and greet the locals who you’ll see happily going about their daily lives, and catching up on the latest village gossip in the many road side warungs – the local eateries that are a cornerstone of traditional life. As you past the banjar or temple, you may hear a ceremony in process or the local gamelan rehearsing. From here, you’ll head into the rice paddies, where you become immersed in the deep emerald greens, and rice growing and harvesting continues little changed for hundreds of years. Finish your tour back at base with a celebratory drink and BBQ sausage sizzle! Bali Island ATV offer one or two hour tours, and can be booked for the morning, afternoon or sunset. 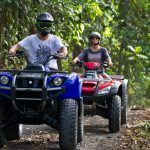 Priding themselves on providing not only an outstanding adventure for all the family, but also outstanding customer service from the moment you book your tour, a quad biking adventure with Bali Island ATV will create happy family memories that last a life time.